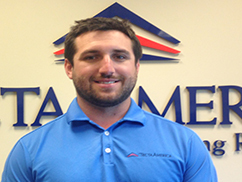 Tecta America Southeast, LLC is a full-service commercial roofing contractor, with our office located near Atlanta, GA. Our dedicated, professional staff has been providing services, including, commercial and industrial roofing, re-roofs, leak repairs, preventative maintenance, inspections, and 24/7 service. We are a licensed, insured, and bonded commercial roofing contractor with services including roof maintenance, roof restoration, roof repairs, and roof replacements. We pride ourselves in our customer service and our we provide our customers with prompt reliable service for all of their commercial roofing needs. Safety is our top priority at Tecta America. We hold company-wide meetings in safety and daily safety discussions prior to leaving for your project and we are recognized and committed to being one of the safest specialty contractors in the world. Our safety record is unsurpassed in our industry. We accomplish this by creating processes rather than programs. We are an Atlanta commercial roofing company dedicated to providing our customers with commercial roofing services that incorporate best practices and craftsmanship, integrity and quality at the most competitive rates. We have more than 60 years of professional roofing experience serving the Atlanta metro area. While we proudly serve the Atlanta area we are a commercial roofing company that will service all of the surrounding commercial roofs in Georgia. 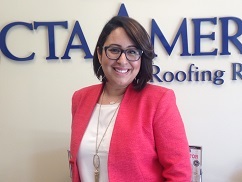 As one of Tecta America’s founding member companies, the work ethic of our commercial roof installers shows in all of our projects. From completing repairs to installing complex systems, our crew will give you quality service on the job. Your work is vital to us and will be done right the first time with as little disruption to your building and your business as possible. 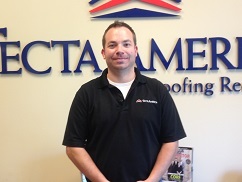 Tecta America Corporation has grown to over 70 locations nationwide becoming one of the largest roofing contractors in the United States and is an approved applicator of GAF, Johns Manville, Carlisle, and Firestone and all other major manufacturers’ roofing material. I would like to highlight the exceptional work by Tecta America on the Sylvan Hills Middle School Project. They have far exceeded my expectations on this project and would highly recommend Tecta America on any future work. 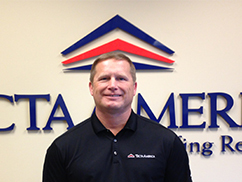 Chris has been in the industry since 1978 and joined Tecta in 2000. His current responsibilities include oversight and management of the Georgia location. 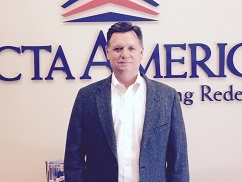 Greg has been in the industry since 1982 and joined Tecta in 2000. His current role includes working with the different teams to ensure quality. Wade has been in the industry since 2000. He schedules foremen/crews to jobs, monitors projects for quality, safety and reviews job progress. 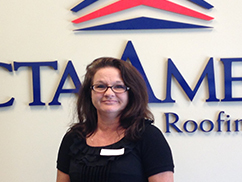 Cindy has been in the industry since 1990 and joined Tecta in 2000. Her responsibilities include AR, collections, maintaining accounts, admin support, AP, and office management. 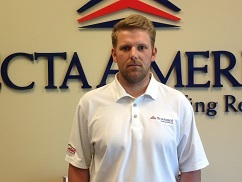 Jim has been in the industry since 2006 and joined Tecta in 2007. He is responsible for inspections, reports, estimates, proposals, roof asset management and project management. Jason has been in the industry since 2005. He performs inspections, provides reports, and creates estimates and proposals. Clay has been in the industry since 2004. He is responsible for the production crews, logistics, equipment, and service programs. Rebecca has been in the industry since 2001. She supports production, project managers, including submittals, POs, billing, and closeouts. 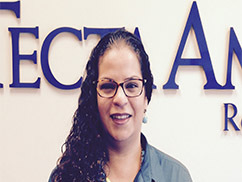 Jennifer has been in the industry since 2004 and joined Tecta in 2014. She is responsible for recruiting, new hire demographics, employee benefits and office management.